At the end of my day trip to Québec City, while I was waiting for my bus back to Montreal, I stayed at Café Félin Ma Langue Aux Chats, a cat café close to both Old Québec and the bus station. 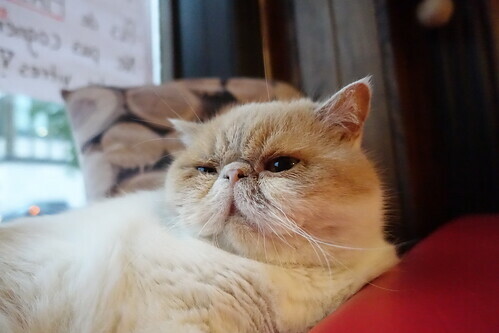 The concept is similar to what can be found in Japan (and increasingly in other countries): It is a classic café, but with cats walking about. They were a bit sleepy when I visited but it was nice and relaxing after a day of walking. L’Observatoire de la Capitale is an observatory in Québec City. 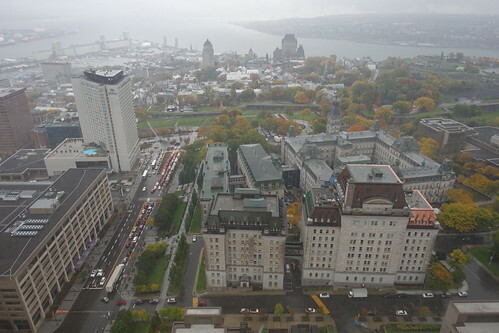 It offers a 360° view from the 31st floor of Edifice Marie-Guyart (altitude of 221m), near the Parliament of Québec. There was heavy rain when I visited so the visibility was limited but it was still interesting to see from above all the landmarks of the city. 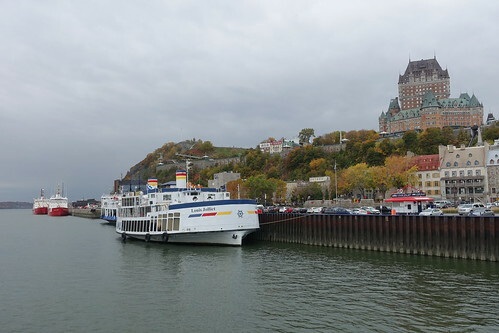 After visiting the lower town of Old Québec, I went on a short walk along the Saint-Lawrence River, in the Old Port (Vieux Port) towards Pointe à Carcy. It started to rain quite hard so I returned to the upper town along Bassin Louise. Old Quebec (Vieux Québec) is a historic neighbourhood of Quebec City. 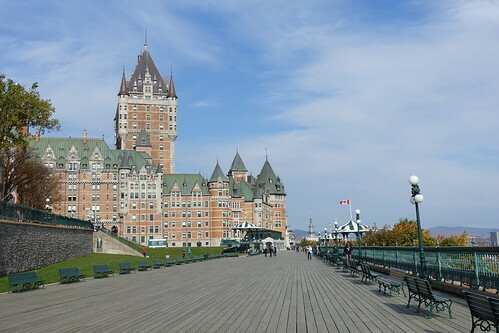 It is the most popular destination for visitors and contains many old buildings and landmarks, such as Château Frontenac, Edifice Price or Notre-Dame de Québec. It is recognized as a World Heritage Site by UNESCO. Above, Place d’Armes, in the upper town of the Old City. 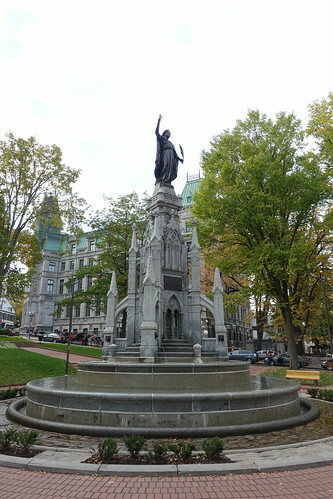 During my holiday in Québec, I stayed mostly in Montreal but I also made a day trip to Québec City, the provincial capital. It takes ~3h to get there by bus (Orléans Express). I spent most of the day walking along the ramparts of Québec. 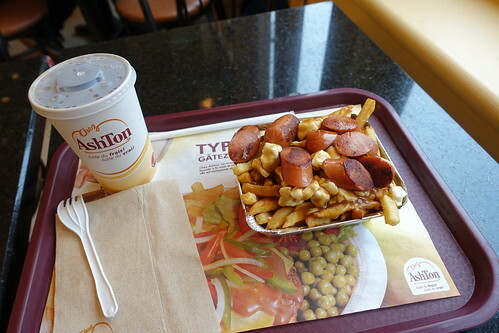 Their construction began at the founding of the city by the French in 1608. They are now the only remaining fortified city walls in North America.